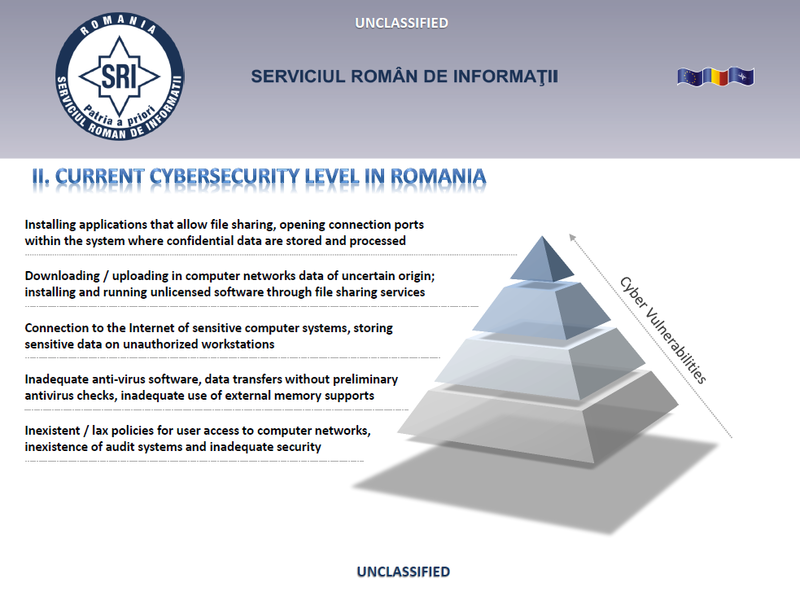 The following presentation was given at a Hungarian cybersecurity conference in September 2013 by members of Romania’s domestic intelligence service Serviciul Român de Informaţii. Two major cases involving cyber crime attracted the public eye, operation PENE – organized crime group specialised in electronic frauds, comprised by 24 that defrauded almost 350 persons from the US, Canada and UK, causing losses of over 8mil. USD – and operation PĂUNESCU – a crime group led by Mihai-Ionuţ Păunescu whose purspose was launching cyberattacks against various financial/bancking institutions in the US, like United States Postal Services and Bank of America, causing losses of aprox. 240 mil. USD. 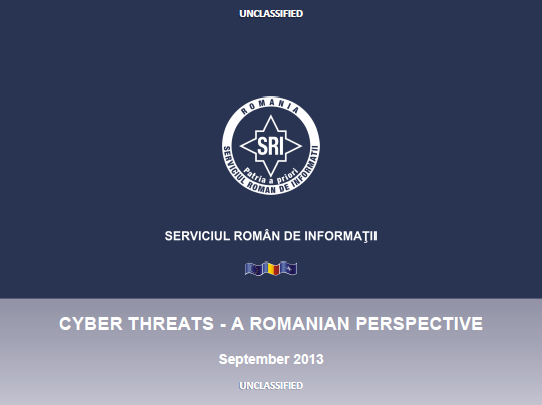 Romania was confronted with the actions carried by the members of Anonymous Romania who, starting January 2012, who launched a high number of cyber attacks against national public institutions. They have also been involved in initiating cyber attacks on foreign entities from the US, Czech Republic, Serbia, Poland and Brazil. Anonymous Romania also supported Anonymous International in attacking various IT systems outside Romania.